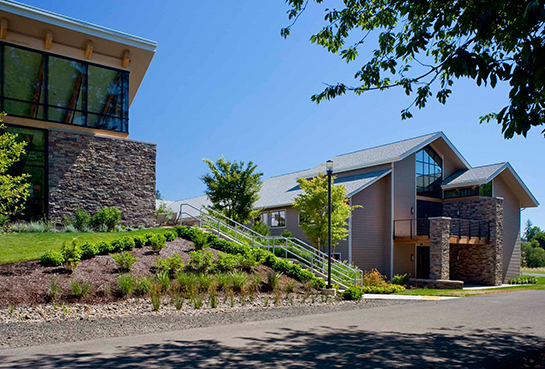 TSP designed this treatment facility expansion on 25 acres located approximately 30 miles southwest of Portland. 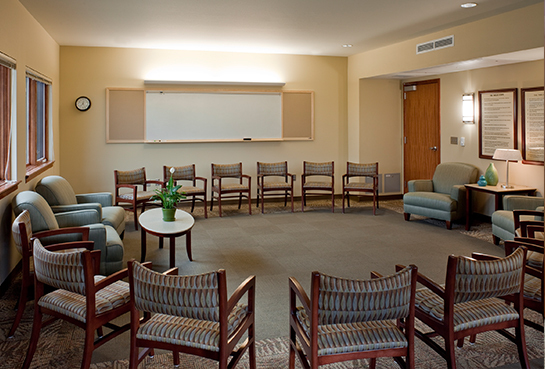 This Hazelden site includes comprehensive primary and extended residential treatment programs for patients ages 18 and older. 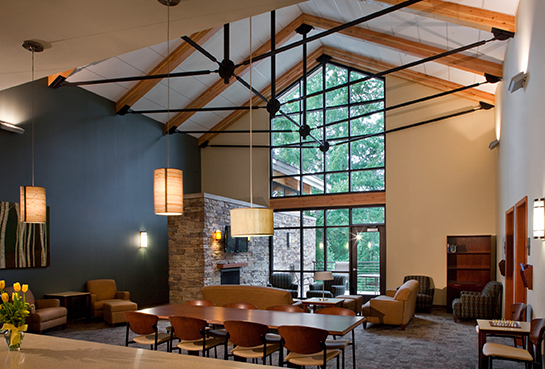 Springbrook is the latest of dozens of projects that TSP has successfully delivered for Hazelden. Other partnerships involved master planning, space needs studies, and design services for facilities including those in Chicago, IL; New York, NY; and Minneapolis, St. Paul, and Plymouth, MN. 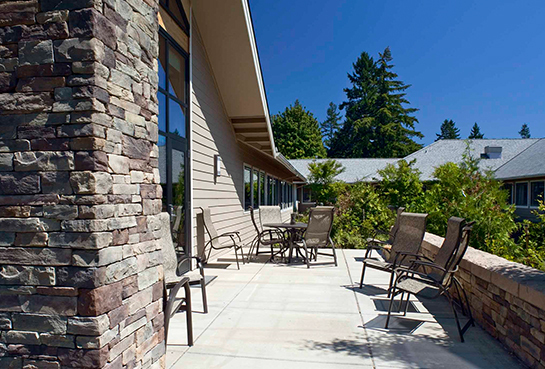 Prior to this project, Hazelden rented several single-family homes in the Newberg area, for the extended-care program. Development at a nearby hotel and single-family housing meant the Hazelden’s rented properties would no longer be available. 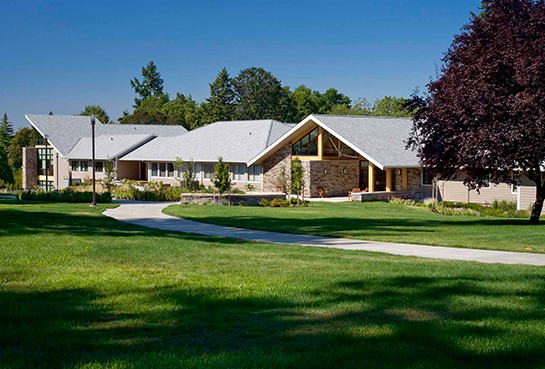 Instead, Hazelden looked to expand the footprint of its existing residential building to accommodate the displaced extended-care patients. The TSP addition more than doubled the facility’s size. 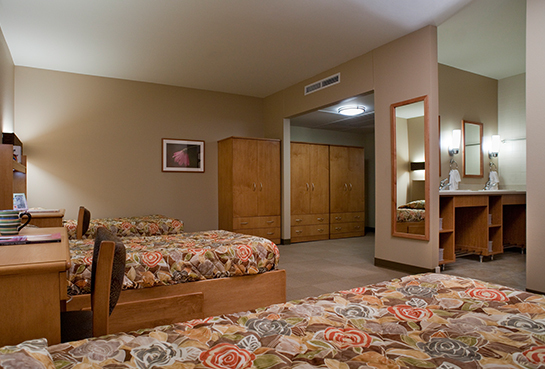 Though its main purpose was to accommodate more patient guest rooms, the project also added several new wellness and activity spaces that can be open or subdivided as programming needs require. In order to meet the accessibility guidelines outlined in the Americans with Disabilities Act, the dining area was transformed to create multi-functional space for both staff and patient use. 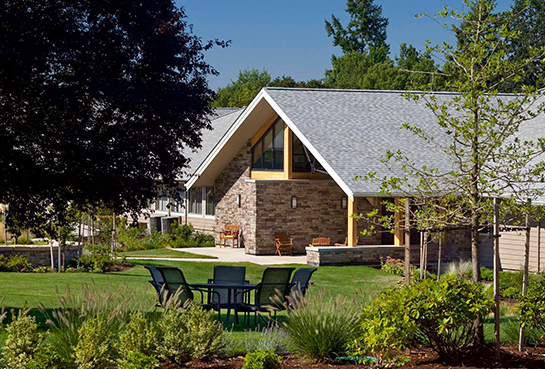 The addition rises beyond the existing low-profile, residential-style wood structures. 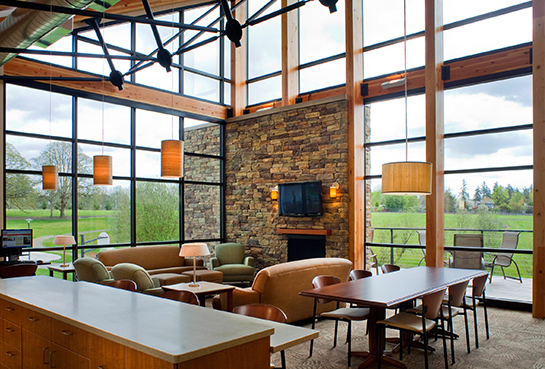 Common areas feature high ceilings, exposed wood trusses, and large expanses of glass that showcase the natural, serene site. The project site’s location on steep slopes presented a unique grading challenge. TSP provided site removal and grading for a truck turnaround and fire land around the building. A future parking lot option was also included in the master plan. Design of utility services included fire/domestic services, sanitary sewer, and storm sewer into a detention pond. 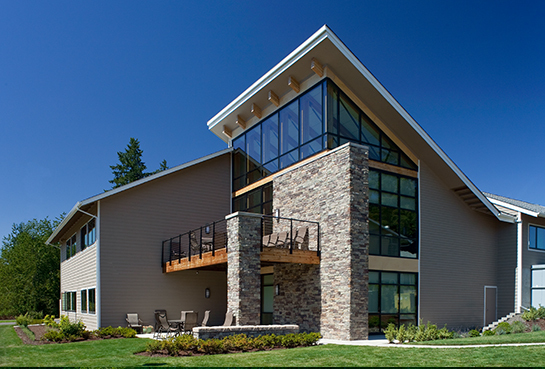 TSP provided construction services on this project as the Construction Manager in an Agency relationship. 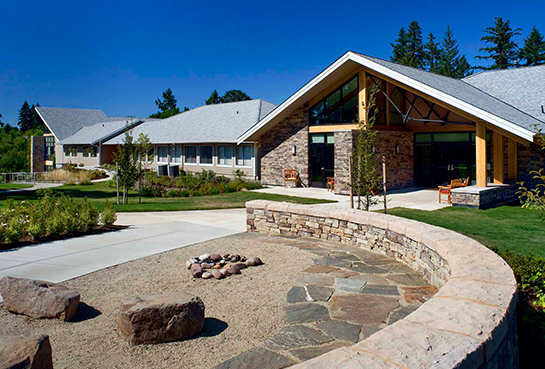 Bid packages came back so favorably, Hazelden was able to add back in several items that had been cut during the design phase.